Tingle’s a guy dressed in a green onesie who sells maps in The Legend of Zelda: Majora’s Mask. The offbeat cartographer we so well received, Nintendo embraced him and let him return in later games, even providing him with a stand-alone spin-off series. Just a few days ago, fans finally finished translating its fourth installment. Ripened Tingle’s Balloon Trip of Love was a DS game released in Japan in 2009. Almost a decade later and after spending five long years on the project, the game’s fan translation blog announced it had finally completed work on an English patch for the ROM. In the series first entry, Freshly-Picked Tingle’s Rosy Rupeeland, Tingle goes on quests to collect money with the hopes of one day being able to reach Rupeeland. Ripened Tingle’s Balloon Trip of Love, on the other hand, sees the now canonically 35-year-old man searching for love inside the pages of a children’s picture book. In a world loosely inspired by The Wizard of Oz, Tingle encounters different single ladies and tries to win their affection by giving them gifts and completing different mini-games. The two games that came out in-between these, Tingle’s Balloon Fight DS and Too Much Tingle Pack, were much smaller but no less strange. The latter was a remix of the famous NES game offered to Japanese gamers as a Nintendo Club exclusive while the latter was downloadable through the DS’s DSiWare program. As a result, only one of the Tingle games was ever translated into English and even then it was only released in Europe. 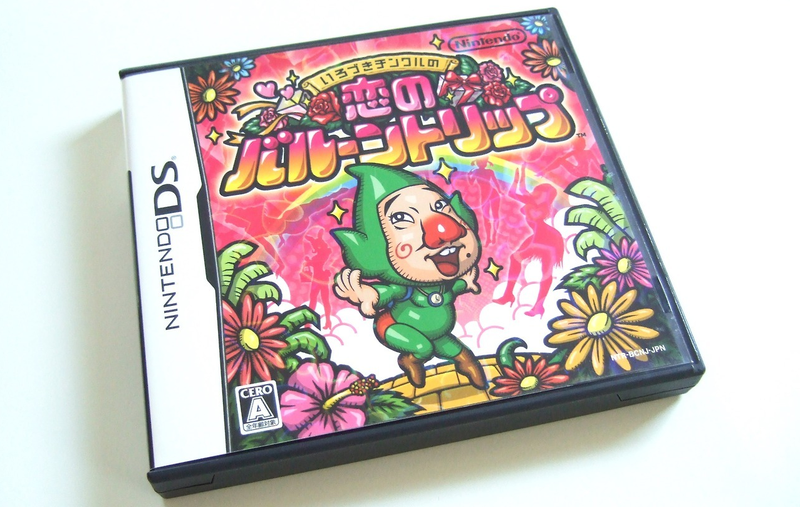 For most Americans than, the localized translation for Ripened Tingle’s Balloon Trip of Love is a landmark event in the world of Tingle-fandom. When asked what Tingle’s deal was a few years back, long-time producer on the Zelda series, Eiji Aonuma, told Kotaku the character was envisioned as being a more realistic sort of Peter Pan. “When we made the character, we had this notion that one of the ways he might be a little bit weird is that he had this notion that he never wanted to grow up,” Aonuma said. “And so I think, to that extent the clothes do fit this image of him.” Since Tingle did grow up, because that’s what people do, he’s now in his 30s and looking for romance, at least in Ripened Tingle’s Balloon Trip of Love, a game you could conceivably now understand although ultimately probably still won’t.